deck project, big or small. design of outdoor living spaces. Cedar Works is the best contractor to hire for all your outdoor construction projects. 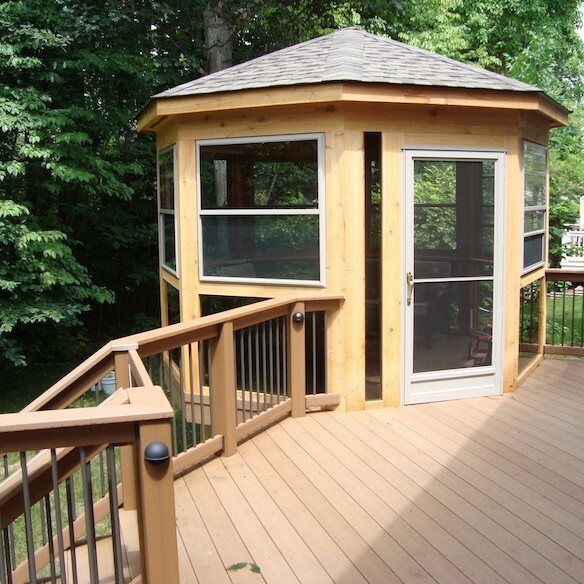 Cedar Works is the premier deck builder in Southeast Michigan. Since 1990 we have been building outdoor living areas for clients in Bloomfield Hills, Michigan and the surrounding areas. 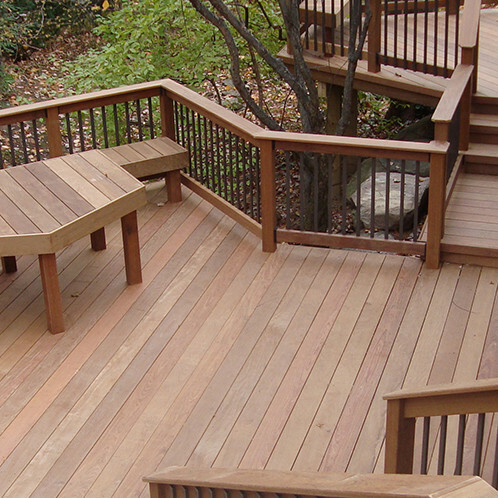 We are committed to providing our customers with quality decks, designs and workmanship. We are always available to take care of all of your construction needs. We will be glad to discuss all of your building ideas, and help you with them. Start living outdoors in total comfort! 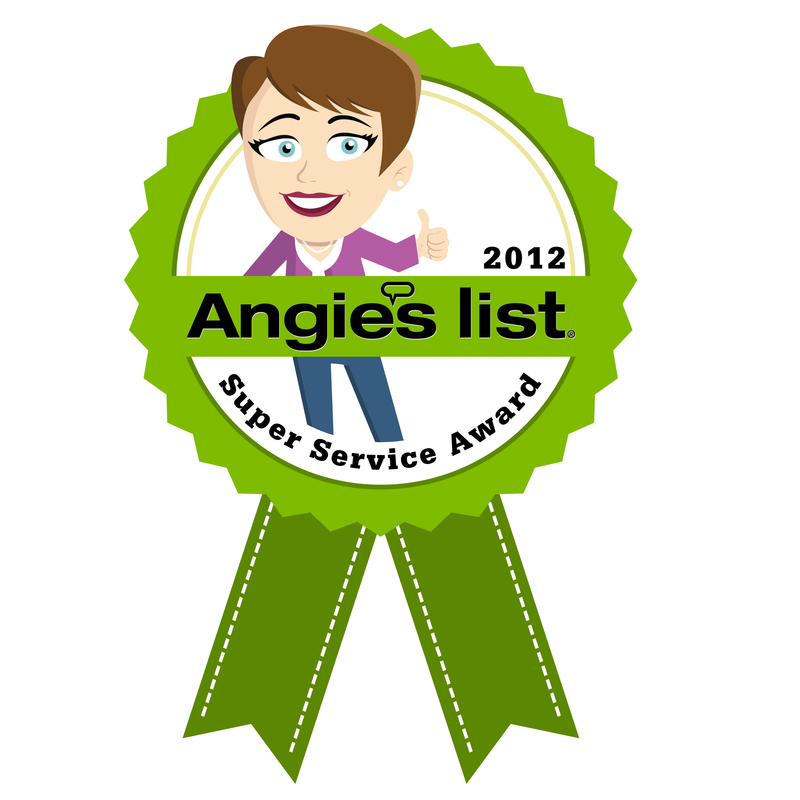 Call 248-363-1113 today. 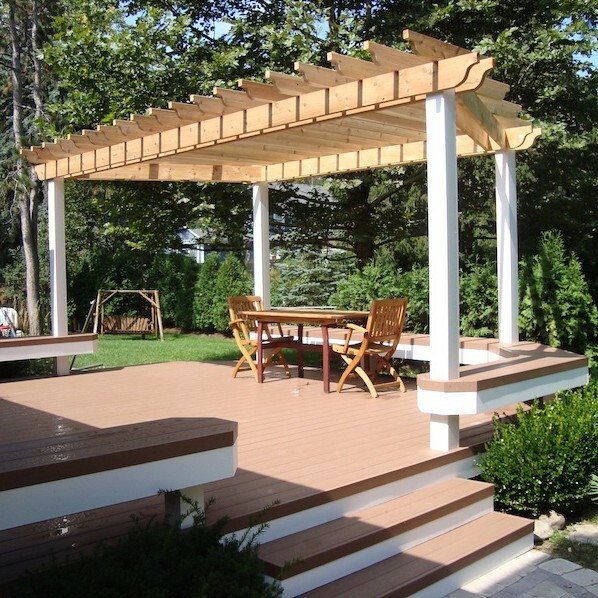 We specialize in the building and design of wood, composite and PVC decks, trellis, gazebos, custom fences, pergolas, deck railing, deck replacement, pool decks, screened rooms, as well as sun rooms. View our Portfolio to see photos of our completed projects. As a TrexPro Platinum Partner, customers can be sure that we have had hours of detailed on-site training by Trex professionals. 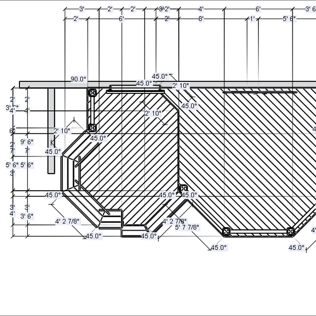 TrexPro is a professional designation for a contractor whose primary focus is the building of residential decks. 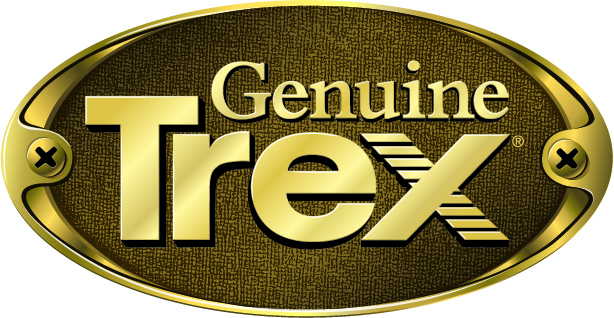 Cedar Works has been trained on the proper installation of Trex products. Our approach to business emulates the quality and professionalism of the Trex brand.